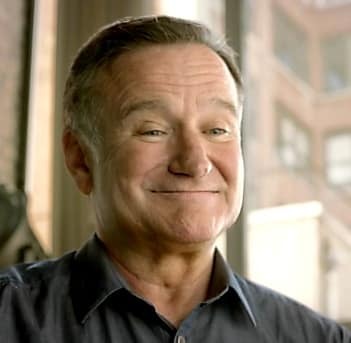 Following his well-received appearance in promoting The Legend of Zelda: Ocarina of Time 3D, Nintendo have once again turned to Academy Award-winning actor Robin Williams to help market The Legend of Zelda: Four Swords Anniversary Edition, which was released as a free download last week. Having gone head-to-head with his daughter Zelda, Robin unfortunately loses he upper-hand and falls into second place. Having wandered off to perform his consequence for losing, Robin returns moments later for a re-match… minus his previously mighty beard! As part of The Legend of Zelda 25th Anniversary celebrations, Nintendo is making The Legend of Zelda: Four Swords Anniversary Edition available to download as a Nintendo DSiWare game for free between September 28th 2011 – February 20th 2012. You’ll have to visit the Nintendo DSi Shop on your Nintendo DSi, Nintendo DSi XL or the Nintendo eShop on you Nintendo 3DS console to make sure you get your hands on it in time.